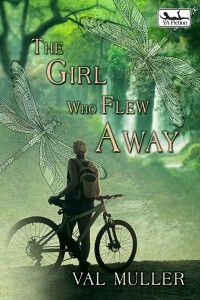 Before I received any acceptance letters for my writing, I knew my work was missing something, but I wasn’t sure what. My characters were interesting. My prose was sufficient, even descriptive. My plots were engaging. So, what was wrong? Everyone who read my work reacted with mediocre praise. They agreed it was “good,” but something was missing. No one could put their finger on it. Luckily, as the rejection letters kept coming (and my writing kept improving), a few editors started leaving personalized feedback. A few of them mentioned that I needed to learn about point of view. Like many inexperienced writers, I wrote in either first person (which is naturally limited to that character’s perspective) or omniscient point of view. I had never considered using third person limited, or switching by scene. 1. Generally, a short story is told through only one point of view. First person tends to be the easiest perspective to write in, since it necessarily limits the narrative to one character’s perceptions. If a short story isn’t working, I often rewrite it in a different point of view, and sometimes, that was the missing element. Some characters might know too much; others, too little. Some characters have a voice not suitable to tell the tale; others change the way we perceive the tale. What about telling it from the perspective of the villain? What about a character who doesn’t know as much and thus would add a veil of mystery, forcing the details to reveal the story as it unfolds? It’s more of an art than a science, so it’s important to consider various perspectives and their influence on the tale. 2. No head-hopping. One of my first editors got on my case about this one. I had finally “mastered” point of view (so I thought) and decided to use third person limited, switching perspectives as needed. But I still didn’t get it. When using third person limited, it’s okay to switch perspectives by chapter or scene, but each hop should have a purpose. More importantly, a writer needs to be consistent in staying in one particular point of view for the scene. So if my main protagonist is the point of view character for a chapter, she can only speculate on what other characters might be thinking or what their motivations might be. This is what adds tension to scenes: sometimes readers know (or suspect) more than the point of view characters. What this means is for each chapter a writer plans, s/he must careful consider the most appropriate point of view, balancing voice, tone, style, and plot. 3. Everything should be intentional. Someone asked me if, when I read books, I tend to re-read them, or simply read them once and move on. I told them that as a teacher, I do re-read classics and modern classics as I teach them. The reason? Each time I read, I find some different detail, a hidden gem that helps add to the meaning of the work as a whole. I don’t tend to re-read “beach reads” or genre fiction simply because it seems the biggest consideration is plot. I don’t trust that the authors have put enough consideration into their work to allow me more insight during an additional read. Whether you’re writing an entire novel in first-person point of view or very carefully switching perspectives by chapter, it’s important that you have carefully considered how each choice will impact the reader. After all, there are so many books out there that we can never assume a captive reader. All writers go through their journey differently. For me, point of view was the last step I had to master. But maybe for you it’s characterization or plot. In any case, don’t wait to improve your work. Seek articles on writing. See if there’s a creative writing class you can take or coach you can work with. I have learned at least one important skill from every single editor and teacher I’ve worked with, and those are the layers that build up to provide a solid foundation to a life of writing. 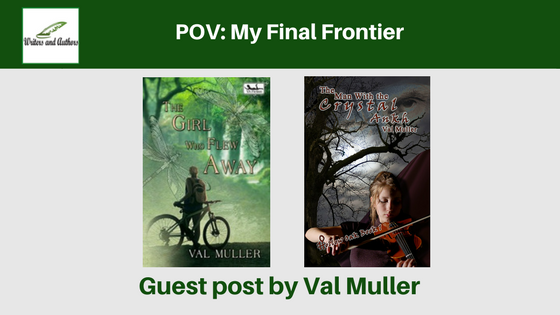 Teacher, writer, and editor, Val Muller grew up in haunted New England but now lives in the warmer climes of Virginia, where she lives with her husband. She is owned by two rambunctious corgis and a toddler. The corgis have their own page and book series at www.CorgiCapers.com. 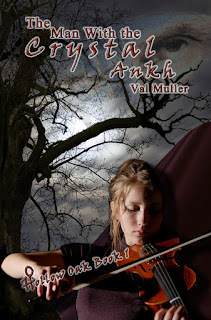 Val’s young adult works include The Scarred Letter, The Man with the Crystal Ankh, and The Girl Who Flew Away and feature her observations as a high school teacher as well as her own haunted New England past. She blogs weekly at www.ValMuller.com.